Maurice Hankey, the third son and fifth child of Robert Alers Hankey (1838–1906), and his wife, Helen Bakewell (1845–1900), was born in Biarritz on 1st April 1877. His father, who was a sheep farmer in Australia, eventually moved the family to Brighton. After being educated at Rugby School (1890-1895) he was commissioned in the Royal Marine Artillery in 1897. According to his biographer, John F. Naylor: "After specialized instruction at Eastney barracks, Portsmouth, he came first in all his examinations. In late 1898 he secured a choice subaltern appointment on the Ramillies, the flagship of the Mediterranean station, to which he soon added unofficial and unpaid intelligence work, an activity which he would maintain to the end of his public life and beyond." Hankey came to the attention of Admiral John Fisher, the Mediterranean commander and soon to be first sea lord. In April 1902 Hankey joined the staff of the naval intelligence department, his first Whitehall appointment. Hankey was an extremely efficient intelligence officer and according to Stephen Roskill, the author of Hankey, Man of Secrets (1970) he was described as being "a walking encyclopaedia of defence matters". He was also a talented linguist and spoke French, Italian, German and Greek. He admitted to his wife, Adeline de Smidt (1882–1979), that his career would unfold "not as a fighting man but as a sound peace administrator". In January 1908 Hankey returned to Whitehall as a member of the permanent subcommittee of the Committee of Imperial Defence (CID). 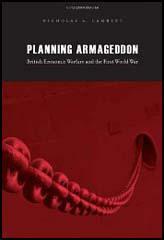 In theory, the CID functioned as the prime minister's department to oversee defence planning. In practice, however, it only advised on technical questions and could not contribute to the formulation of defence policies. In 1912 Hankey became secretary of CID. On the outbreak of the First World War, Hankey became secretary of the Imperial War Cabinet. Hankey and his friend, Colonel Ernest Swinton, became convinced that it was necessary to developed an armoured vehicle to counteract the development of machine-guns. When Swinton's proposals were rejected by General Sir John French and his scientific advisers, Hankey took them to Winston Churchill, the navy minister. This action resulted in the development of the tank. It has been suggested that Herbert Asquith and the CID was never able to get total control of the war effort. It has been argued by John F. Naylor: "Neither this flawed body - partly advisory, partly executive - nor its two successors, the Dardanelles committee (June - October 1915), and the war committee (November 1915 - November 1916) enabled the Asquith coalition to prevail over the military authorities in planning what remained an ineffective war effort." At a meeting in Paris on 4th November, 1916, David Lloyd George came to the conclusion that the present structure of command and direction of policy could not win the war and might well lose it. Lloyd George agreed with Hankey, that he should talk to Andrew Bonar Law, the leader of the Conservative Party, about the situation. Bonar Law remained loyal to Asquith and so Lloyd George contacted Max Aitken instead and told him about his suggested reforms. On 18th November, Aitken lunched with Bonar Law and put Lloyd George's case for reform. He also put forward the arguments for Lloyd George becoming the leader of the coalition. Aitken later recalled in his book, Politicians and the War (1928): "Once he had taken up war as his metier he seemed to breathe its true spirit; all other thoughts and schemes were abandoned, and he lived for, thought of and talked of nothing but the war. Ruthless to inefficiency and muddle-headedness in his conduct, sometimes devious, if you like, in the means employed when indirect methods would serve him in his aim, he yet exhibited in his country's death-grapple a kind of splendid sincerity." Together, David Lloyd George, Max Aitken, Andrew Bonar Law and Edward Carson, drafted a statement addressed to Asquith, proposing a war council triumvirate and the Prime Minister as overlord. On 25th November, Bonar Law took the proposal to Asquith, who agreed to think it over. The next day he rejected it. Further negotiations took place and on 2nd December Asquith agreed to the setting up of "a small War Committee to handle the day to day conduct of the war, with full powers", independent of the cabinet. This information was leaked to the press by Carson. On 4th December The Times used these details of the War Committee to make a strong attack on Asquith. The following day he resigned from office. Lloyd George decided to establish what he described as "virtually a new system of government in this country". John F. Naylor has explained: "Hankey headed the operation - the secretary himself drew up the procedural rules - with these responsibilities, among others: (1) to record the proceedings of the War Cabinet; (2) to transmit relevant extracts from the minutes to departments concerned with implementing them or otherwise interested; (3) to prepare the agenda paper, and to arrange the attendance of ministers not in the War Cabinet and others required to be present for discussion of particular items on the agenda; (4) to receive papers from departments and circulate them to the War Cabinet or others as necessary. Thus Hankey established the precepts for a co-ordinating and record-keeping organization which the cabinet secretariat and its seamless successor, the Cabinet Office (from 1920), subsequently followed. The creation of the cabinet secretariat was his greatest achievement." A.J.P. Taylor has argued in English History 1914-1945 (1965): "Where the old cabinet had met once a week or so and had kept no record of its proceedings, the war cabinet met practically every day - 300 times in 1917 - and Hankey, brought over from the Committee of Imperial Defence and its successors, organized an efficient secretariat. He prepared agenda; kept minutes; and ensured afterwards that the decisions were operated by the department concerned. Hankey was also tempted to exceed his functions and to initiate proposals, particularly on strategy, instead of merely recording decisions." According to the historian, Michael Kettle, Hankey became involved in a plot to overthrow David Lloyd George. Others involved in the conspiracy included General William Robertson, Chief of Staff and the prime ministers main political adviser, Colonel Charles Repington, the military correspondent of the Morning Post and General Frederick Maurice, director of military operations at the War Office. Kettle argues that: "What Maurice had in mind was a small War Cabinet, dominated by Robertson, assisted by a brilliant British Ludendorff, and with a subservient Prime Minister. It is unclear who Maurice had in mind for this Ludendorff figure; but it is very clear that the intention was to get rid of Lloyd George - and quickly." On 24th January, 1918, Repington wrote an article where he described what he called "the procrastination and cowardice of the Cabinet". Later that day Repington heard on good authority that Lloyd George had strongly urged the War Cabinet to imprison both him and his editor, Howell Arthur Gwynne. That evening Repington was invited to have dinner with Lord Chief Justice Charles Darling, where he received a polite judicial rebuke. General William Robertson disagreed with Lloyd George's proposal to create an executive war board, chaired by Ferdinand Foch, with broad powers over allied reserves. Robertson expressed his opposition to General Herbert Plumer in a letter on 4th February, 1918: "It is impossible to have Chiefs of the General Staffs dealing with operations in all respects except reserves and to have people with no other responsibilities dealing with reserves and nothing else. In fact the decision is unsound, and neither do I see how it is to be worked either legally or constitutionally." On 11th February, Repington, revealed in the Morning Post details of the coming offensive on the Western Front. Lloyd George later recorded: "The conspirators decided to publish the war plans of the Allies for the coming German offensive. Repington's betrayal might and ought to have decided the war." Repington and his editor, Howell Arthur Gwynne, were fined £100 each, plus costs, for a breach of Defence of the Realm regulations when he disclosed secret information in the newspaper. General William Robertson wrote to Repington suggesting that he had been the one who had leaked him the information: "Like yourself, I did what I thought was best in the general interests of the country. I feel that your sacrifice has been great and that you have a difficult time in front of you. But the great thing is to keep on a straight course". General Frederick Maurice also sent a letter to Repington: "I have the greatest admiration for your courage and determination and am quite clear that you have been the victim of political persecution such as I did not think was possible in England." Robertson put up a fight in the war cabinet against the proposed executive war board, but when it was clear that Lloyd George was unwilling to back down, he resigned his post. He was now replaced with General Henry Wilson. General Douglas Haig rejected the idea that Robertson should become one of his commanders in France and he was given the eastern command instead. Hankey remained in power after the First World War. He was appointed as secretary of the cabinet (1919) and secretary of the Committee of Imperial Defence (1920) and clerk of the privy council (1923). 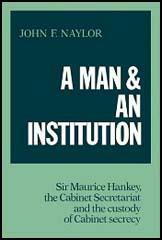 The author of A Man and an Institution: Sir Maurice Hankey (1984) has argued: "Although the foreign secretary sat in the peacetime cabinet, Hankey continued his close association with Lloyd George in world meetings, serving as secretary of the British delegation to the Washington naval conference (1921–2) and the Genoa conference (1922); the latter meeting witnessed Lloyd George's last exclusion of the foreign secretary from its councils." 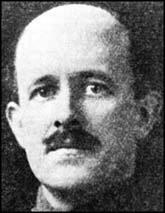 When the David Lloyd George coalition fell in 1922 Hankey remained in place and in 1923 he became clerk of the privy council. He worked closely with the new prime minister, Andrew Bonar Law and served as secretary-general to conferences dealing with German reparations, in London (1924). He also served Ramsay MacDonald at the Hague Conference (1929) and the London Naval Conference (1930), although he disagreed with his foreign policies. Hankey worked with Neville Chamberlain in the development of his appeasement policy. John F. Naylor has argued: " Though not close to Neville Chamberlain, Hankey strongly supported his policy of appeasement, albeit for reasons of military weakness rather than the premier's sense of mission. His dealings with cabinet ministers were a model of gentlemanly manners and moderation, although on occasion pent-up frustration spilled over into critical diary entries, which served in part as a release of his own convictions and emotions." In 1937 he wrote in his diary that Winston Churchill was "the most difficult man I ever had to work with". In July 1938 Hankey retired as clerk of the privy council office, secretary to the cabinet, and secretary to the Committee of Imperial Defence. He was created a peer in February 1939, but on the outbreak of the Second World War he accepted the position of minister without portfolio and membership in Chamberlain's war cabinet. He wrote that "as far as I can make out my main job is to keep an eye on Winston!" Other duties included the monitoring of intelligence activities and the application of science and technology to the war effort. Winston Churchill appointed Hankey as Paymaster General in July 1941. The author of A Man and an Institution: Sir Maurice Hankey (1984) has argued: "Hankey had read the signs of his loss of standing in the ministry, but he persisted in his criticism of Churchill's conduct of the war especially during its darkest hours in the winter of 1941–2. His criticisms ranged from Churchill's war organization and dictatorial methods to a number of strategic issues. The issue about which Hankey felt most strongly was the imperative to divert converted long-range bombers away from strategic mainland bombing, and to use them to protect the lifeline of Atlantic convoys. His criticisms were not without merit, but he shared the particulars with a number of the prime minister's political opponents. Since his dissenting views were openly argued within the government he could not be accused of covert disloyalty, but predictably the breach widened." Hankey was dismissed by Churchill in March 1942. After leaving office Hankey resumed his role as a director of the Suez Canal Company. In 1948 he served as a commercial director, consistently defending the company's role and the British military presence in Egypt. It is believed that Hankey lost a considerable amount of money when Colonel Gamar Abdel Nasser nationalized the company in 1956. Books by Hankey include Government Control in War (1945), Diplomacy by Conference (1946), and Politics, Trials and Errors (1949), where he suggested a general amnesty for war criminals in the Second World War. He also published and The Supreme Command, 1914-1918 (1961). George Mallaby has commented that "He (Hankey) was busy always, and his moods of relaxation were known only to his family... He took a cold bath every morning, he was an advocate of alfresco meals in unwelcoming weather, he was persistent in physical exercise, and his favourite method of locomotion was on his feet. He was a man of temperate habits. He preferred a diet of whole-wheat bread, raw vegetables, fresh fruit, eggs, and nuts, and this sustained him in full vigour until he was nearly eighty-six." Sir Maurice Hankey, suffering from prostate cancer, died in Redhill General Hospital, on 26th January 1963. Where the old cabinet had met once a week or so and had kept no record of its proceedings, the war cabinet met practically every day - 300 times in 1917 - and Hankey, brought over from the Committee of Imperial Defence and its successors, organized an efficient secretariat. He prepared agenda; kept minutes; and ensured afterwards that the decisions were operated by the department concerned. Hankey was also tempted to exceed his functions and to initiate proposals, particularly on strategy, instead of merely recording decisions.